Set along a backdrop of a fictitious second world war at an international city in Asia. 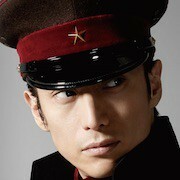 In Japan, Lieutenant Colonel Yuki (Yusuke Iseya) recommends the creation of spy training school "D Kikan". 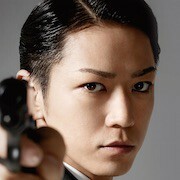 Meanwhile, Kato (Kazuya Kamenashi) is facing capital punishment for his refusal to follow a superior's order. Kato is then scouted by "D Kikan". He goes through a harsh training regiment and faces his first mission as a spy. In order to seize American ambassador Graham's confidential documents "Black Note." Kato infiltrates into an international city. A battle to gain possession of the "Black Note" ensues between Kato, a mysterious woman named Rin (Kyoko Fukada), the British Spy Agency, the Soviet Spy Agency and the radical army in Japan. 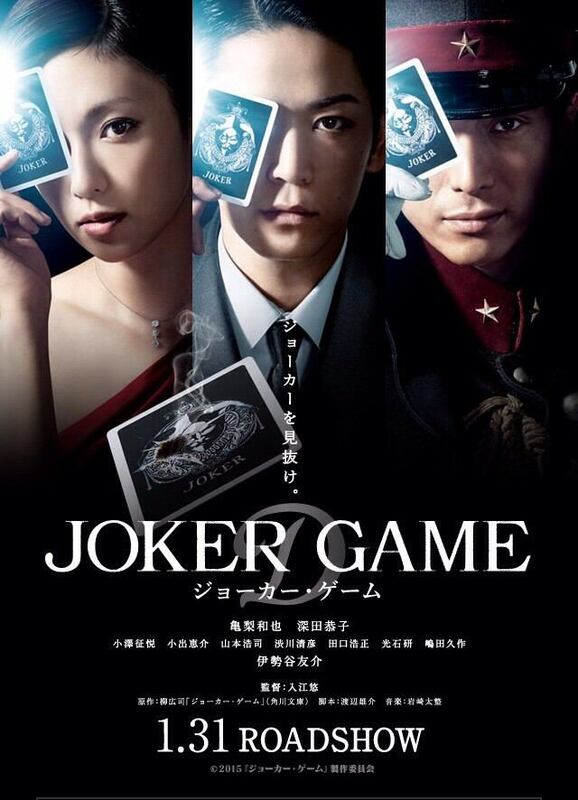 Based on novel "Joker Game" by Koji Yanagi (published August 28, 2008 by Kadokawa Shoten). Filming begins January 4, 2014. Shooting locations will take place between Japan, an open set on Batam Island in Indonesia and downtown Singapore. Aozora Sep 19 2016 8:42 am Heee~ makanya ko banyal unsur budaya Indonesianya hehehehe Neee~ its always that way, anime or novel is always better than the live action version.. But its not too bad tobe seen tough..
Fay Sep 06 2015 12:15 am Whoah, this movie is awesome. I like how clever Kato is in this movie. Some scenes remains me of Gaksital (Bridal Mask) K-drama, because there's torturement, clever dialogues, actions, not happy for all, etc. I like this kind of story. y.nari Aug 20 2015 4:15 am Will this movie continue, like a film series. I want Joker Game 2 !! and what they said at the end was like there're more from them. I hope to see more. I wanna see Kamenashi in action more !! Anna Mar 01 2015 4:56 am Hi there, Is this movie going to be out in Singapore? kamemin23 Nov 25 2014 8:41 pm I am so looking forward to this movie. And I'm so happy that even if it hasn't shown yet in theaters, my silent wish of kame and kyoko acting together in a drama came true. Thanks they saw the chemistry between the two. The movie and the drama are sure hit! So proud of kame. So many blessings coming his way. Keep up the good work kame and always be thankful for everything you receive. ayeza jeremie s. mella Mar 24 2014 5:51 am oh my! i can't wait to watch kazuya kamenashi again!!!! FeKimi Jan 20 2014 4:42 am Wuuuuttt!! Yusuke Iseya will go to Batam?!? kuncoro Jan 09 2014 4:27 am Batam, Indonesia. Amazing. Redknapp Jan 06 2014 8:13 am Batam, Really??? I was born there..